Cryptocurrency has not only given the fastest way to transfer the money, but also a new entity to trade with and to earn money apart from the stocks and other commodities. While you can directly sell and buy Bitcoin, you can also use Bitcoin trading exchanges to continue your trades in cryptocurrency. There are a lot of exchanges where trading Bitcoin is safe and secured and also the customers are facilitated with many extended services. Being a cryptocurrency investor or trader you can choose any of the exchanges for your comfort. It is however recommended to sneak peek into the reviews of some before opting out the one. Below is a brief review of top Bitcoin exchanges around the world. It is probably one of the most reputed and largest Bitcoin trading exchanges with dual facility trading directly and through the wallet. CoinBase was founded in the year 2012 as through venture finding of Y-Combinator and since then it has rapidly grown. It has many lucrative services like multiple options to deposit and withdraw cash, money transfers between two CoinBase are instantaneous, Wallet facilities with multiple signature options for more secure transfers, Bitcoin deposits are insured for any loss etc. CoinBase has the wide variety of payment partners of Europe and US, who seamlessly allow the transactions to be carried on through them. It has relatively low transactions fees and offers Bitcoin trade along with a large number of Altcoin trading as well. One of the oldest and reputed exchanges which was started in 2013, London as Bitcoin Trading exchange and also as cloud mining facilitator. Later its mining power grew such enormously that it held nearly half of the network mining capacities; however, it has been now closed. "CEX.IO" allows customers to expand to the much larger amount of Bitcoin trades, and it has the facility to make available the Bitcoin at requested price instantly. However, for this exchange charges a bit high exchange amount, yet this is compensated for the security and facilities of allowing multi-currency transaction (Dollar, Euro, and Ruble) to buy Bitcoin. It is one of the most advanced trading exchanges and it particularly suited to the experienced crypto-currency traders. With high liquidity for the Ethereum as well as Bitcoin, this exchange has better options like leveraging, margin funding and multiple order trading. Apart from this Bitfinex offers the features of customizable GUI, many orders types, like limit, stop, trailing stop, market etc. This exchange also provides about 50 currency pairs that can be traded and with easy withdrawals for all. One of the largest exchanges in terms of volume traded Bitfinex offers pseudonymity for trades and only for some of the services it requires identifications. The only drawback with this exchange is that it does not support the buying of Bitcoin or any other altcoin through fiat transactions. It was founded in 2011 and is the oldest of exchanges who offer cryptocurrency and Bitcoin trades. The most respected because despite being oldest it has never been under security threat and tills recently. Bitstamp currently supports four currencies Bitcoin, Ethereum, Litecoin and Ripple and is available with the mobile app as well, apart from website to trade. It has lovely support for the European users or the traders having their account in Euro Banks. The security is advanced and of cold storage type, which means the coins are stored offline.So you can say it is wholly not possible for any hacker to infiltrate. Last of all its complex user interface suggests that it is not for the novice user but for professionals and it offers relative low transactions fees. 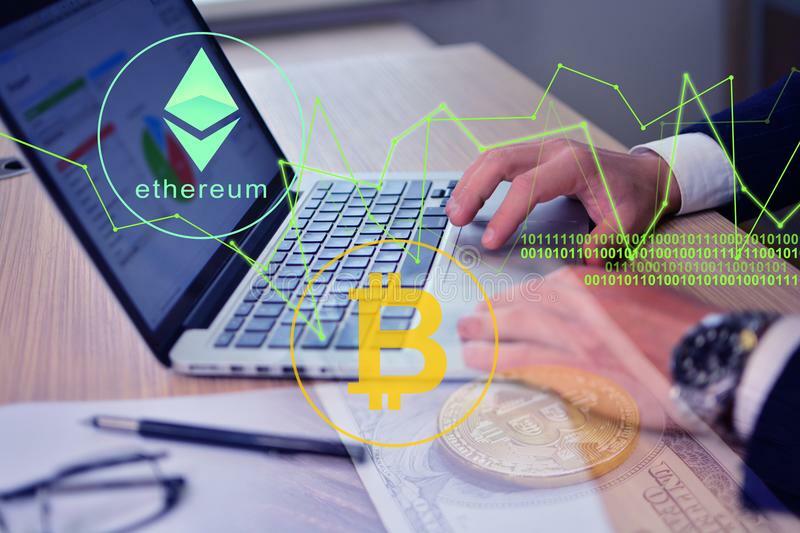 It is one of the largest Bitcoin trading exchanges in terms of the liquidity, euro crypto trading volumes and trading figures of Canadian Dollars, USD and Yen. Kraken is most respected exchanges steered through the turmoil of cryptocurrency trades and has managed to keep the amounts of customer safe irrespective of the other exchanges being hacked at the same time. With 14+ cryptocurrency trading facilities, the user can deposit the fiat as well as cryptocurrency along with the similar capacity for withdrawals. However, it is not suited for beginners yet it has better security features and low transaction fees relative to CoinBase. Most important factor for Kraken is that it is trusted in the community and has been first to display the volumes and prices on Bloomberg Terminal.